You’ve likely heard about the amazing diversity of animals that roam the Galapagos Islands. From giant tortoises to the incredible variety of birds and iguanas, it’s no wonder Charles Darwin was so inspired by this fascinating volcanic archipelago, 965 kilometres (600 miles) off the coast of Ecuador. Significantly less talked about is the cuisine found on the islands. Well, the five inhabited ones, that is. Frequently overshadowed by the animal attractions, food in the Galapagos is surprisingly tasty. Surrounded by one of the richest marine ecosystems in the world, fish and seafood is widely available and mouth-wateringly fresh. Many forget, or simply don’t know, that the Galapagos is a part of Ecuador. As such, homes and restaurants commonly serve up hearty plates of rice, meat, Andean potatoes and other Ecuadorian staples. And then there’s the fruit. Exotic varieties not commonly found outside of the tropics like citrusy naranjilla and sweet but tart guanabana are used to make ice creams, juices, cocktails and other delicious concoctions. Surely, if Darwin had written another book about his time in the Galapagos it would have been about its delicious culinary offerings. In the absence of that, here’s our guide to some of the eats that will keep your taste buds happy while exploring these mesmerising islands. Seafood is fresh, plentiful and heavily featured on menus across the Galapagos. 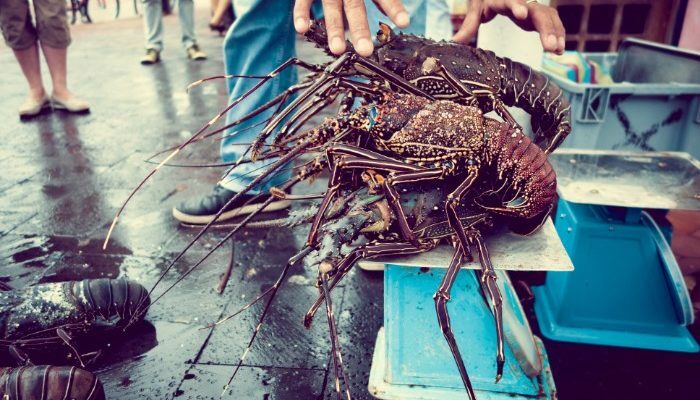 From white fish options like sea bass, tilapia and halibut, to local specialties like red and green spiny lobsters, do as the locals and head to Calle de los Kioscos in Puerto Ayora for a cheap open-air meal. Mom-and-pop shops line the street serving up an aromatic range of reasonably priced eats. Order a fresh mixed seafood casserole or creamy langostino encocado (lobster smothered in a rich coconut sauce), pull up a plastic chair and dig in! 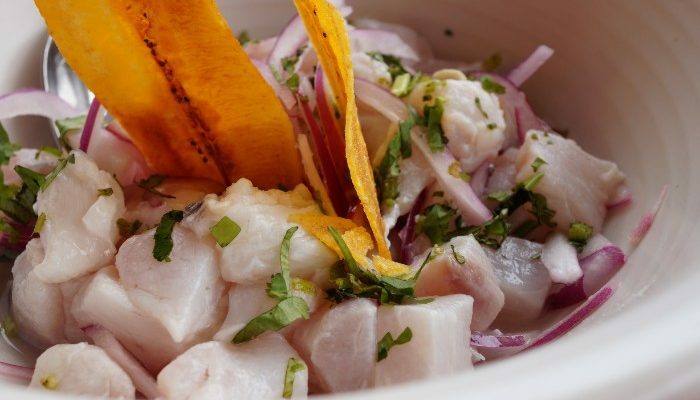 Perhaps the Galapagos’s most famous dish, and for good reason: the ceviche here is divine. Made with locally caught fish, shrimp, squid, crab, octopus or the islands’ famous lobster, Galapagos ceviche is a delectable balance of citrus, sweet, tangy and spicy flavours. 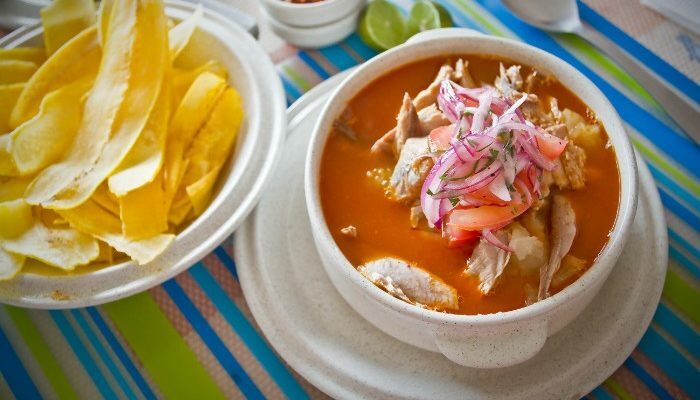 Yet another dish that utilises the Galapagos’s succulent fruits of the sea, encebollado is a pickled onion soup filled with yucca and albacore tuna (or sometimes other types of fish). Locals swear by this dish when they’re nursing a hangover. 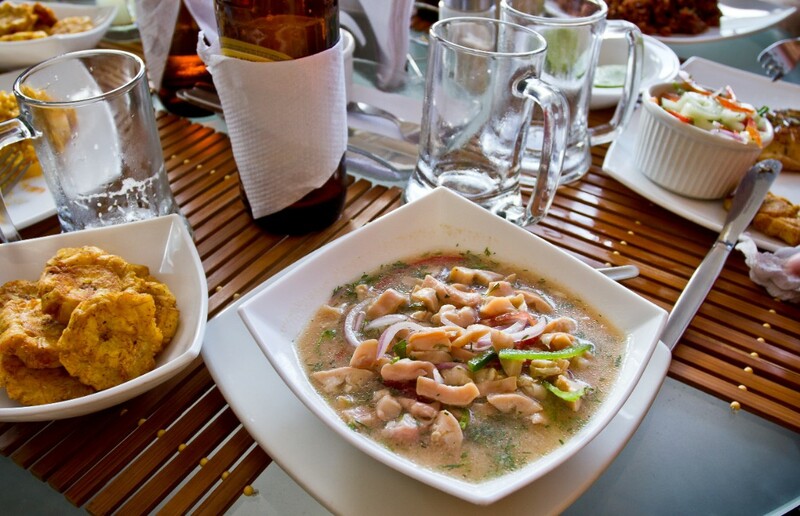 Usually served at breakfast, encebollado is just one of many thick and savoury seafood-based soups available at restaurants, food stalls and kiosks across the islands. Cheap, filling and flavourful, seco is an Ecuadorian classic. Various types of meat are slow-cooked in a fragrant sauce and served with rice, slices of avocado, fried plantain and salad. Seco de pollo is made with chicken, seco de carne is beef, chivo is goat, and borrego or cordero is lamb. Almost every Ecuadorian-style meal you’ll have in the Galapagos will come with plantain. Similar to a banana, this sweet side dish can be prepared in a range of delicious ways. 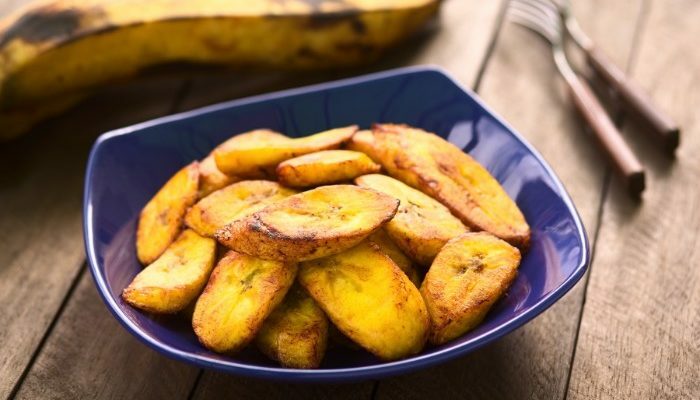 Chifles are a thinly sliced, deep fried and highly addictive chip version of plantain. Patacones are mashed plantain that has been fried twice. And then there’s bolon de verde. These breakfast dumplings are an irresistible combination of mashed plantain, cheese and meat. 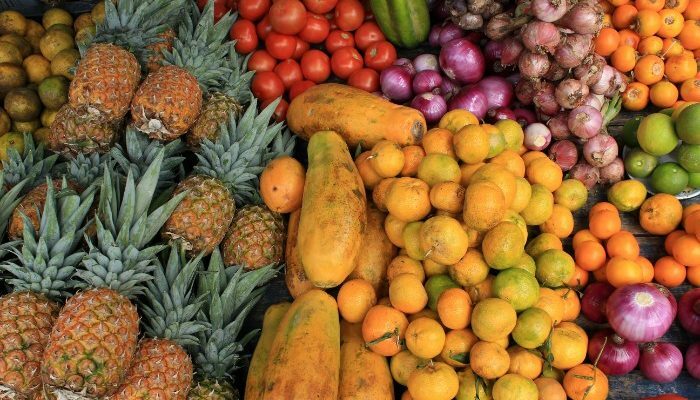 Not just a treasure trove of unique and fascinating wildlife, the Galapagos also gets regular shipments of unique and exotic fruits that grow in mainland Ecuador. Babaco, jocote, guanabana (soursop), guayaba (guava) and naranjilla are just a few of the mouth-watering options you can sink your teeth into. Possibly more ubiquitous than water, fruit jugos (juice) and batidos (milkshakes) are creamy, incredibly sweet and available everywhere. If the thought of too much sugar gives you a toothache, just ask for menos azucar (less sugar), though be careful where you order from. Tap water isn’t safe to drink in the Galapagos and many vendors add water to their drinks. Only buy from places that look clean and use purified water, or risk an upset stomach (or possibly worse) later on. Sure, Italy has a long-standing reputation for producing the world’s best gelato, but ice cream from Ecuador and the Galapagos Islands just might give it a run for its money. 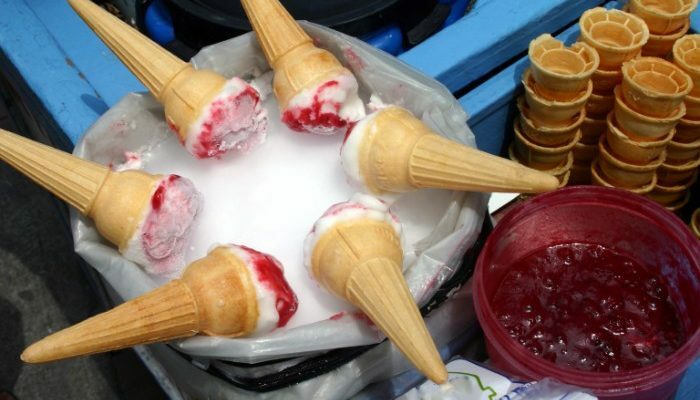 Rich, creamy, and bursting with flavour, Galapagos ice cream tastes so good because it’s made with real crushed fruit. Delectable varieties made with guanabana and what Mark Twain dubbed ‘the most delicious fruit known to man’ (he was referring to cherimoya or custard apple), produce some pretty unique flavours. Sometimes we all crave our version of comfort food. If you’re after something more familiar, like a slice of pizza or a plate of pasta, the Galapagos has got you covered. Restaurants serving up international fare as well as Ecuadorian staples line Avenida Charles Darwin in Puerto Ayora. Many hotels and cruise ships also offer international food along with local favourites. Venture into the Galapagos Islands on a Peregrine small group adventure now. When I’m not daydreaming about food or my next adventure, you can find me discovering new music through YouTube’s recommended videos, practicing my table tennis skills and aimlessly exploring the streets of Melbourne. 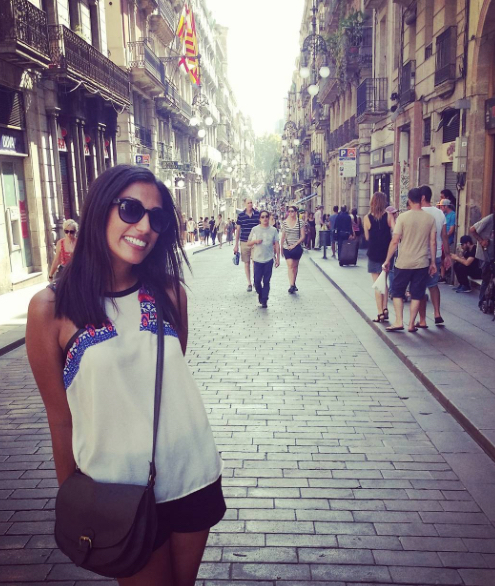 I choose travel destinations for the local cuisine as much as the attractions and consider hiking to Machu Picchu to be my greatest travel accomplishment.